New York State's Longest Running Beer And Food Festival! Enjoy a luxurious coach bus ride up to picturesque Hunter Mountain for New York State's longest running beer and food festival. Tickets include round trip transportation, general admission into the festival, bagels and snacks on the bus. Once inside the festival, enjoy beer tastings from New York's finest breweries and food samples from hundreds of vendors. Get on board the bus for this epic trip to TAP NY at Hunter Mountain. Enjoy a day of tasting the best craft beers, the best food and wraps, and the best beer-related specialty vendors this state has to offer. Buses are ALMOST SOLD OUT, so don't miss your chance for this year's best fest! Celebrate with Celebrate with Tapped Enterprises this Mardi Gras Season with this 5 Hr Bus tour enjoying some great Cajun and Creole Cuisine and great local beer. Tour includes round trip transportation, non alcoholic drinks included on the bus, Cajun food platter for 2 at Mara's Homemade, 1 beer per person at Mara's Homemade, 1 beer per person at The Brewer's Collective, 1 tasting flight or 1 beer per person at Great South Bay Brewery. Enjoy a day of "Chocolate, Food & Fun" (TM) with tastings & sales of gourmet chocolates, baked goods, specialty foods, gelato, craft sodas, beer, wines, distilled spirits, hard ciders & much more at over 90 vendor booths, all while touring one of the largest air and space museums in the world! In celebration of the 50th anniversary of the Apollo 11 mission, food artist Nancy Baker will re-create a famous photo from the moon landing using a combination of chocolates, cookies and colored sugars. Other entertainment will include appearances by storybook "princesses" and Star Wars characters from the 501st Empire City Garrison, plus there will be face painting, balloon twisting, unique wire art and free showings of "Space Junk" in the JetBlue Airways Planetarium. Enjoy FREE admission to Planetarium Shows -- A $9/person value! Kidz Zone Activities Including FREE Face Painting & Balloon Twisting. Explore one of the largest air & space museums in the world! Get cozy inside the historic Coe Mansion at Planting Fields Arboretum State Historic Park, as the Music in the Mansion Series is here again. The jazz music of the World Trad Orchestra isfeatured on Friday, January 18th, playing a mix of Brazilian, Cuban, American, and French music from the 1920s and 1930s. The monthly series continues with the Street Beat Brass Band on Friday, February 15th and concludes on Friday, March 15th with world fusion music performed by the flamenco guitar duo of Alan & Hugo. Oyster Bay Town Supervisor Joseph Saladino and Councilwoman Michele Johnson joined with volunteers from the North Oyster Bay Baymen's Association (NOBBA) in seeding Oyster Bay Harbor with one million clam seeds. "Oyster Bay Harbor is one of the crown jewels of Oyster Bay, and I'm proud to say that under my administration we are now doing more than ever before to improve its water quality," said Supervisor Saladino. "This clam seeding initiative improves water quality, bolsters the local economy and improves the resiliency of our coastal communities by restoring shellfish populations to the harbor." 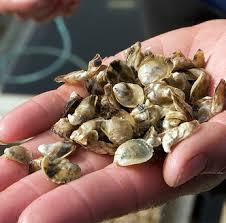 Councilwoman Johnson noted that shellfish filter up to 50 gallons of water a day through their feeding process, so the preservation of Oyster Bay Harbor's water quality through the repopulation of shellfish is an important component of making the water cleaner for swimming, fishing, boating, and all life in the Harbor. "I am proud to be a part of such a great environmental initiative that will preserve the quality, resiliency, and natural beauty of our local waterways for generations to come," Councilwoman Johnson said. More than 50 craft brewers from around the country will be in attendance, pouring samples of over 100 of their finest brews—the brewery lineup will surpass all years past. It will include new and award-winning breweries from Long Island as well as stellar craft breweries from across the country. NYCB Live, home of the Nassau Veterans Memorial Coliseum, will be a great backdrop for some craft beer tasting. Tickets are limited. Don't miss out! Tickets: $45+ tax/fee online in advance of the event. If tickets still remain, they will be $55 on event day at the door. Sweet Bee's Honey Festival & Artisan Market will "celebrate the bee" with tastings & sales of local, regional and international honeys, as well as baked goods, chocolates, artisan foods, craft beverages (wines, meads, beers, spirits, ciders, sodas, teas and coffees) and handmade items from more than 80 vendors. Admission to the Honey Festival includes admission to all Cradle of Aviation Museum air & space exhibits, along with showings of the acclaimed giant screen movie "Backyard Wilderness" in the JetBlue Airways Planetarium, live music, educational seminars, chef demonstrations, craft activities for children, a scavenger hunt and face painting. A honeybee-themed costume contest will award prizes for best-dressed and most creative costumes, as well as the best bee t-shirt. Participating organizations include the Cradle of Aviation Museum, Long Island Children's Museum, Friends of the Hempstead Plains, Girl Scouts of Nassau County, Old Westbury Gardens, Cornell Cooperative Extension, Long Island Beekeepers Club and the Harry Chapin Food Bank of Long Island Cares. Enjoy the best Paella Party cooked on the beach while sipping Sangria and listening to Live Gypsy Kings Music by Los Cintron, all this while enjoying the sand and beach with your best friends and loved ones. Don't miss this one! Unlimited Paella and Sangria from 12 - 5pm. Tickets must be purchased in advance. There will be no tickets sold at the event. This is a rain or shine event inside the Beach Mushroom which are covered. The Long Island Hospitality Ball is a premiere Long Island culinary, wine and spirits event featuring many of the top Long Island restaurants and premier beverage companies benefitting the Carol M. Baldwin Breast Cancer Research Fund. Guests enjoy a walk around tasting experience where they can sample mouthwatering dishes, taste premium wines and spirits, and enjoy the sights and sounds of an evening filled with music and entertainment as well as an exciting raffle featuring a wide array of prizes. Now in its 8th year, the event is hosted annually by the Long Island Hospitality Ball volunteer committee which in the past has raised over $1.4 Million to support the fight against cancer. Honoring the 2018 Humanitarian Dr. Gerard X. Brogan and also honoring The Otto Kahn Awards Program scholarship winners. Wine, Hors D'oeuvres, Buffet Dinner, Desserts, Live Music and More. This event is hosted by Friends of OHEKA, Inc., a non-profit organization dedicated to the protection, preservation and public awareness of OHEKA CASTLE. The Mansion's historic, Georgian manor house is the ideal backdrop to enjoy tastings, seminars and sip signature cocktails while you discover the unique stories behind Bourbon, Scotch, Tequila, Wine, Vodka, Gin and more premium spirits, from each participating label's brand ambassadors. Last year's event was so popular, we expanded the experience to include an exquisite wine-pairing dinner and a bubbly brunch, with menus created by our own Chef Andrew Helliwell. VIP / Early Access 6:00 p.m. – 10:00 p.m.
General Admission 7:00 p.m. – 10:00 p.m.
Join us again for another spectacular, culinary event for the town of Port Jefferson, which is hosted by The Greater Port Jefferson Chamber of Commerce. This year the Taste has reached out to the greater Port Jefferson restaurant community to be more inclusive and also NEW this year is our partner Dan’s Paper. The event is being re-discovered as a night event with new energy, including musical entertainment and a tented outdoor venue! Taste from over 35 Restaurants, Desserts, Wine, Gourmet Cocktails, and Craft Beer! This tasting event will be featuring very rare boubons from the Stitzle Weller Distillery and single malts that make up Johnnie Walker blended scotch. The Sands Point Preserve Conservancy is delighted to announce its White Party, a benefit for educational programming for children and adults, to be held on Thursday, August 3rd at 7 p.m. in historic Hempstead House and Rose Garden overlooking the Long Island Sound. This event is graciously sponsored by OurHarvest, a New York based online grocery and farmers market delivery service company that donates healthy meals to local food pantries for families in need. 13th Annual "A Hamptons Happening"
The 13th Annual "A Hamptons Happening" will be held Saturday, August 5th. You don't want to miss this event featuring an array of artisan delicacies from Long Island and Manhattan's finest restaurants. Guests are invited to indulge in divine culinary delights at Maria and Kenneth Fishel's Hampton estate, while raising money to benefit the Samuel Waxman Cancer Research Foundation. Long Beach International Film Festival proudly presented TASTE ON THE BEACH. Taste On The Beach will be held on Friday, August 4th on the Beach in Long Beach in conjunction with the Long Beach International Film Festival's star studded Shorts On The Beach Film Series. We hope that you are able to join us for the wonderful cause of helping the less fortunate on Long Island. A portion of the proceeds of this event will benefit The Long Beach Food & Friendship INN. Taste On The Beach provided the unique atmosphere to enjoy a wide variety of local & regional culinary creations, wine tastings, craft beer tastings, & more - All on one of the most pristine and beautiful beaches along the Atlantic Ocean. 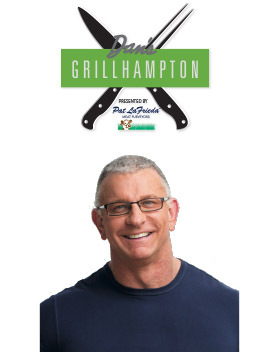 Hosted by Robert Irvine It's Hamptons vs. NYC as GrillHampton, pits East End chefs against Manhattan chefs in a one-of-a-kind cooking competition and tasting event. Enjoy great grilled fare, beer and specialty cocktails—then be part of the action as you vote for the finest food of the night. A portion of ticket proceeds will benefit All For The East End (AFTEE), a 501(c)(3) that showcases and provides support to the more-than 1,000 charity organizations in the five East End towns. VIP: $195, includes early access beginning at 7 p.m.; admission to the Waterfront VIP Lounge with special treats and more! General Admission: $140, 8 p.m. - 10:30 p.m. Hosted by Alex Guarnaschelli, Chef/Owner of Butter, Judge on Food Network's Chopped, author of "Old School Comfort Food" and soon-to-be released cookbook "The Home Cook." Celebrating its 7th year as the creme de la creme of the East End summer event scene, Taste of Two Forks continues to proudly spotlight the bounty of both the North and South Forks, featuring tastings from countless top restaurants, chefs and purveyors from the Hamptons and North Fork! Set at the gracious, sprawling waterfront property of Fairview Farm in Bridgehampton, guests can raise a glass of local wines or the finest of spirits and brews, while watching the sun set over Mecox Bay. If history continues to repeat itself, Taste of Two Forks is poised for a sellout, so grab your tickets quickly! VIP: $325, includes early access beginning at 6:30 p.m. Admission to the Waterfront VIP Lounge with special treats and more! General Admission: $185, 7:30 p.m. - 10 p.m.
Nicky's on the Bay is a casual restaurant located in the Bay Shore Marina. Here you are by the beautiful views of the Great South Bay as well as the Bay Shore Marina. When you travel by boat the docking fee is refunded from your check and you can even gas up at their dock. Nicky's is the perfect place to stop by before or after a day on the bay. Outdoor dining is a quintessential summer treat on its own, but combined with breathtaking views and live music creates a whole new dining experience. Fisherman Catch is an award winning restaurant in Point Lookout that offers incredible waterviews along with fabulous food. You can travel by boat, dock right outside the restaurant and dine al fresco! A large majority of all the seafood served here comes straight from their ships to your lips! Come enjoy their fabulous food while watching the boats go by on the waters of Reynolds Channel. The Long Island Hospitality Ball is a premiere Long Island culinary, wine and spirits event featuring many of the top Long Island restaurants and premier beverage companies benefitting the Carol M. Baldwin Breast Cancer Research Fund. Guests enjoy a walk around tasting experience where they can sample mouthwatering dishes, taste premium wines and spirits, and enjoy the sights and sounds of an evening filled with music and entertainment as well as an exciting raffle featuring a wide array of prizes. Now in its 7th year, the event is hosted annually by the Long Island Hospitality Ball volunteer commitree which in the past has raised over $1.4 Million to support the fight against cancer. The Lark Pub & Grub 5th Annual chili cook-off is on Sunday, April 2nd at 1pm. With samples of 40 different chilis and various beers to try, this continues to be Long Island's most anticipated chili cook-off. Not only is this event a great opportunity to taste mouth-watering homemade chilis, but it is also a wonderful chance to raise money for the League for Animal Protection of Huntington. Each year contestants put their heart into their creations as the public samples spicy chili with cornbread or nachos, chicken chili, smoked chili, and even a delectable vegetarian chili, just to name a few. Contestants will compete for prizes such as a flat screen TV, laptop, and recognition on The Lark Trophy. The cook-off is the brain-child of Tim Kelly owner and restaurateur of The Lark Pub & Grub of Northport. You don't want to miss this year's chili cook-off, so be sure to mark your calendar! St Patrick's Day has become a wonderful celebration that brings out the Irish in all of us. 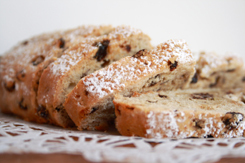 It is a part of tradition to enjoy Irish soda bread, corned beef and cabbage, and a hearty libation with family and friends. With festivities beginning March 17th and lasting throughout the weekend, there are plenty of restaurants getting into the Irish spirit with traditional cuisine and drink specials. McQuade's of Lynbrook is a delightful bar and grill that will be offering a special Irish menu along with fabulous Irish music to commence the merriment. Their festivities will continue as McQuade's invites everyone to celebrate their 8th anniversary beginning on Friday, March 17th through Sunday, March 20th. It is out with the old in with the new, as 2015 draws to a close with 2016 to take it's place. New Year's is a wonderful time for new beginnings and fresh starts. 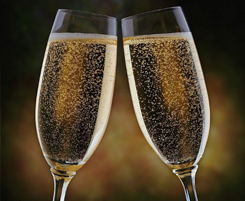 So begin your New Year with Laurel Lake's Moscato Sparkling. This unique wine is filled with tropical flavor where the ripe peach and pineapple jump out of the glass. Moscato blends soft acidity with sweetness, adding to its sipping pleasure. It is ideal after dinner or served with delicious strawberries for your New Year's celebration. It also pairs well with strong cheeses and mildy-acidic fruits. It is available online or in local liquor stores. Start your New Year off with something new and exciting like Moscato Sparkling to commemorate the end and beginning of another year! Fish & Sips Wine Tasting Event takes place at the Long Island Aquarium & Exhibition Center in Riverhead. Upon entering, majestic sting rays circle around the ray bay anticipating friendly pats from oncoming guests. More than 20 local wineries participate in this unique event, serving their prominent wines while starfish, king crabs, turtles, exotic fish and sharks swim in the background. Guests enjoy live music that echoes throughout the aquarium. Savory hors d'oeuvres are graciously passed around including delicious lamb meatballs and crispy spring rolls. Lavish displays of crudité, fresh fruits, exotic cheeses and cured meats can be found throughout the event. Guests certainly will never feel like a fish out of water at this annual Fish & Sips event. It is an evening filled with exquisite wine, tasty samples, and adventurous aquatic life. An 1863 Thanksgiving Holiday Celebration is at the Old Bethpage Village Restoration Saturday, November 19 and Sunday, November 20. The event returns November 26-27. This historic landmark gives visitors an exclusive and wonderful opportunity to experience a turkey roasted over an open fire, fiddle music and historic legends. Kick-off Autumn with a fabulous five-course wine pairing adventure at Sage Bistro of Bellmore. This award-winning French bistro will be showcasing an array of fall favorites. The evenings selections include: Chestnut Soup, Savory Tomato Tart Tartin, Sweet & Savory Maple Orange Cornish Hen, Beef Osso Bucco and Pumpkin Mousse. Each course is expertly prepared and paired with a splendid selection of wines to compliment and enhance the flavors of each course. We Celebrated Octoberfest This Year With Some Authentic German Cuisine At Pumpernickel's Of Northport! There are very few authentic German restaurants left on Long Island and Pumpernickels Restaurant happens to be one of them. This landmark on Main Street in Northport has been around since 1973 and since then has been serving some of the best German-American cuisine Long Island has to offer. The Weiner Schnitzel a la Holsten, cooked to order and served with Brattkartoffel, also known as German fries, was a delicious meal to try. This authentic dish comes from North Germany and is an incredible smelling entrée. The Weiner Schnitzel was topped with a sunny side up egg creating a very appealing presentation and the crisp breading that coated the cutlet was just scrumptious. The Brattkartoffel were the ideal complement to be served alongside the meat. They were crunchy and quite flavorful. Another great dish you'll find on the specials menu at Pumpernickels is the Bavarian Platter. This platter offered a Bratwurst and a Chop, served with creamy mashed potatoes and sauerkraut. Both the Bratwurst and the Chop were cooked to perfection and present a nice, smoked flavoring. The World Was Our Oyster At Long Island's Favorite Annual Festival In Oyster Bay! It was that time of year again when couples, families and friends all converged at Theodore Roosevelt Field Memorial Park on the waterfront in Oyster Bay to experience the Oyster Festival. For its 32nd consecutive year, it continued to draw in thousands of people from all over Long Island. There was something for everyone, but especially for oyster lovers who were able to indulge on 45,000 raw oysters donated by Frank M. Flower & Sons. There was an oyster eating and oyster shucking contest where participants were able to show off their skills and win prizes. "The world is your oyster" seemed to be true as crowds left a day filled with music, rides, a petting zoo, and seafood galore. The Oyster Festival is held every October so mark your calendars for next year's event in celebration of this mighty mollusk. This event, which showcased new chefs and food producers who are revitalizing Long Island food by reaching back to the crops, foods and food production of generations past for their culinary creations was part of the Southampton Historical Museum's "Lost Foods, New Foods: Artisan Cuisine & Wines on the South Fork" event on August 25th. Funds raised through the event, which included a band playing the sounds of the 60s and 70s, light jazz and country music, benefited the many local programs run by the Amagansett Food Institute and Southampton Historical Museum. The event was held at the Southampton Historical Museum in the Sayre Barn at the Rogers mansion. The Southampton Historical Museum's mission is to preserve and promote the history and culture of the Town of Southampton through education programs for those of all ages. Wine connoisseurs rejoiced as the Long Island Council gathered a bevy of the best and brightest winemakers of the East End for this treasured annual celebration of the North and South Forks' wine and food. Hosting for the second year in a row was Iron Chef Geoffrey Zakarian, of Food Network's Chopped, The Kitchen, Top 5 and his newest prime hit, Cooks vs. Cons. Zakarian, was thrilled to return and be a part of the most tremendous event in Long Island's wine country. More than 40 wineries and 30 restaurants & purveyors convened under a tent at the beautiful McCall Vineyards and Ranch where upwards of 1,500 people attended. The VIP Experience included early admission, premium parking, a VIP gift bag, exclusive access to VIP Lounge and other treats! A portion of proceeds benefited local agricultural foundations. As guests made their way to the mansion courtyard, they were greeted by a champagne and cocktail station with beautiful flower arrangements abound. We enjoyed a plentiful cocktail buffet, desserts, champagne, sangria, craft beer and Motown music! Guests danced the night away under the stars to live music with the energetic and full-of-life Motown sound of the city "City Sounds Music Experience". The band included second-to-none live performances that encouraged audience participation. The East End's Premier Four-Part Series Of Food And Wine Events Was A Hit As Usual! With back-to-back events, the first weekend of Dan's Taste of Summer was one for the books. This fabulous series of foodie favorites kicked-off Friday July 22nd with Dan's GrillHampton hosted by Travel Channel's Adam Richman. We hope you made it there for the GrillHampton East End chefs vs. NYC chefs' one-of-a-kind cooking competition and tasting event. We enjoyed the great grilled fare, beer and specialty cocktails, then we were part of the action as we casted our votes for the finest food of the night. The following night, Katie Lee, Celebrity Chef and co-host of Food Network's The Kitchen joined Iron Chef Alex Guarnaschelli at Taste of Two Forks. This annual favorite continued to proudly spotlight the bounty of both the North and South Forks, featuring bites from top restaurants, sips from celebrated wineries and breweries, noshes from purveyors and more. This year, guests experienced a whole new level of luxury as the event moved to a new location: the gracious, sprawling waterfront property of Fairview Farm in Bridgehampton. Dan's Clambake MTK, the inaugural oceanfront food and drink festival at the legendary Gurney's Montauk Resort & Seawater Spa, invited you to sink your teeth into surf and turf from the ultimate East End restaurants. We celebrated the beach life, coastal cuisine and everything that makes Montauk the hottest destination of the season on the East Coast. Returning to Dan's Taste of Summer was Chef Marc Murphy, Judge on Food Network's Chopped, Benchmarc Restaurants (Landmarc + Ditch Plains), Kingside, Grey Salt and author of "Season with Authority: Confident Home Cooking," who was joined by Eden Grinshpan of Cooking Channel's Eden Eats, to co-host this beachy-chic affair. Guests ate, drank and mingled under the stars for what was one of the most quintessential night of summer. The evening was enhanced with Dan's Clambake MTK's VIP After-Party at Gurney's Montauk where a live DJ spun the hottest records of the year over gourmet late-night food and drink. We danced the night away and enjoyed refreshing craft cocktails shaken from the best mixologists around. VIP After-Party guests enjoyed exclusive perks and treats for a truly unforgettable summer weekend. Mother’s Day is Sunday, May 8th and if gourmet cooking isn’t your forte – let your favorite restaurant do it for you! This is your chance to treat Mom right after everything she's done for you, so stop scrambling for ideas; we have you covered. three great places to treat her taste buds. Aperitif in Rockville Centre, Sage Bistro in Bellmore and Sage Bistro Moderne in Woodbury. All three restaurants ensure a spectacular Mother's Day dining experience that you, mom and the rest of the family will love! Rialto Restaurant in Carle Place is the perfect Mother's Day destination if Italian cuisine is what Mom desires. They present a pleasantly cozy atmosphere and the dining room's subdued lighting sets the tone for a relaxing evening. Another elegant Italian Restaurant is Galleria located on Post Avenue in Westbury. Their fabulous selection of authentic Italian cuisine is sure to make mom feel special. If you really want to spoil your mom this Mother's Day take her to Grasso's -Long Island's finest supper club- and enjoy live jazz. She'll be enchanted by this classy restaurant in Cold Spring Harbor. Not only do they have mouthwatering cuisine, but the music performed by renowned musicians is sure to impress! Remember to make your reservations and place your orders early before Mother’s Day! There are a number of great places across the island to take Mom to this year and we’ve mentioned a few above. But as for the card and flowers? Sorry, you’re on your own! McQuade's of Lynbrook is a delightful bar and grill that will be offering a special Irish menu along with fabulous Irish music to commence the merriment. Their festivities will continue as McQuade's invites everyone to celebrate their 8th anniversary beginning on Thursday, March 17th through Saturday, March 20th. for two at one of Long Island's romantic restaurants. be offering a special Valentine's menu that includes a number of spectacular items like Lobster Carbonarra, Seared Pink Snapper, and Roasted Sirloin Steak. To complete the romantic package, there will be live music Valentine's Eve and Valentine's Day to make it a lovely weekend you and your honey will fall in love with. New Year's is a wonderful time for new beginnings and fresh starts. So begin your New Year with Laurel Lake's Moscato Sparkling. This unique wine is filled with tropical flavor where the ripe peach and pineapple jump out of the glass. In this all new show, the audience chose the challenge! How? The digital challenge wheel! The audience spun a digital wheel, which was incorporated into the screen projection to choose everything from time limits to ingredients to the challenge itself. Anything was possible. The amount of audience involvement had gone up. Way up! Depending on the challenges chosen for the evening, up to 30 people were able to be called onstage to participate. Food Network star Robert Irvine took his brand of no nonsense cooking on the road, but this time he wasn't the only star of the show. This all new multi-media and multi-sensory event featured never before seen interviews, cooking challenges, Q&A and a whole heaping of audience participation! Robert had no knowledge of the culinary challenges he was about to receive, and he needed your help to conquer them. No recipes. No script. No holds barred. It waslike nothing you've ever seen on stage before. You chose the challenges. He did the impossible. The 9th Annual Award Winning North Fork Craft Beer Festival at Calverton Links Golf Course was held Saturday, August 8, 2015. This event showcased the finest national and international craft breweries - more than 50 in all. This perennial favorite boasted a great selection of food trucks, sure to satisfy every craving and pair well with the craft beers. Trucks offered a variety of food options for sale - from pulled pork and ribs, to crab cakes and gourmet sliders. Pictured above is Brockenzo's fabulous wood-fired Neapolitan pizza. Planting Fields Foundation's 7th Annual Champagne Party: A Totally Awesome 80s' Party! Let's Dance at the 7th Annual Planting Fields Foundation's Champagne Party. This year's theme was the 80's so guest dressed in their best leg warmers, biggest hairdo, and muscle shirts to get into the groove. Once again, the event was held at the beautiful gardens at Coe Hall where guests indulged on a cocktail buffet catered by Jeff Lawton Events with plentiful hors d'oeuvres, savory desserts, champagne, wine, sangria and craft beer. Entertainment was be provided by Tommy's Tunes. Dan's Taste Of Two Forks is a yearly extravaganza hosted by America's Top Celebrity Chefs and held in one of the most beautiful parts of Long Island, the Hamptons. Celebrating five years as the East End's leading summer food soiree, Taste Of Two Forks continues to proudly spotlight the bounty of both the North and South Forks, featuring bites from dozens of top restaurants, sips from celebrated wineries and breweries, purveyors and more. Taking their hosting duties from the small screen to the Hamptons, first-time co-host Iron Chef Michael Symon of ABC's The Chew joined returning co-host, The Kitchen star Katie Lee, to offer their support for this driven community. This years event honored restauranteur, author and lifestyle maven B. Smith, for her dedicationto dining in the Hamptons and Manhattan, as well as the country through her role with the American Chef Corps. Live music energized the crowd as they watched the sunset from inside the elegent tent and VIP ticket holders had ample space to relax and indulge in a private lounge filled with oysters, specialty drinks and other exclusive perks. In addition to the dozen of restaurants that participate each year, Taste Of Two Forks also showcased an abundance of local artisanal purveyors that help make the East End a true foodie find. Taste Of Two Forks was a sellout event with a portion to this year's ticket purchase benefiting All For The East End, an organization whose goal is to generate significant new and creative sources of funding and organizational support for the not-for-profit organizations of Long Island's East End townships. It was Team Hamptons vs. Team NYC as the 3rd Annual GrillHampton pitted 8 East End chefs against 8 Manhattan chefs in a one-of-a-kind cooking competition and tasting event. This event has become the area's who's who of grillmasters and has once again pulled talent from both NYC and the Hamptons to vie for the winning title. Restaurant Impossible star Robert Irvine was back to oversee the evening's festivities and was joined by chef Marc Murphy, celebrity judge on Food Network's Chopped, to judge this fantastic competition. Each attendee also became a part of the action as they casted their vote for the finest food of the night. National Tequila Day was Friday, July 24th and what better place to celebrate than at an authentic Mexican restaurant? Caracara, located on Main Street in Farmingdale, offering a wide variety of authentic Mexican dishes and great drink specials, making this restaurant a great destination to celebrate the delicious spirit of Tequila we all know and love. Bastille Day is a French National Holiday celebrated on July 14th each year. Formally known in France as La Fête Nationale, this holiday commemorates the storming of the Bastille, which occurred July 14, 1789. Amongst the many restaurants celebrating Bastille Day this year, we would like to mention two fantastic, authentic French restaurants –Sage Bistro Moderne in Woodbury and Aperitif in Rockville Centre. In honor of this French holiday, they are offering a special menu with fabulous cuisine. Be sure to visit one of these locations to enjoy their delicious French dishes in celebration of Bastille Day! The Fourth annual Vanderbilt Clam Bake was held at the historic Vanderbilt Museum on Saturday, July 18th at 6pm. Guests enjoyed an evening of delicious food, music and dancing under the stars at the beautiful Vanderbilt estate overlooking Northport Bay. The menu for the evening included whole steamed lobsters, clams, mussels, clam chowder, BBQ chicken, burgers, hot dogs, roasted potatoes, corn on the cob, wine and beer. Admission to this annual fundraising event is $100 per person, which helps support the museum's various education programs. The 12th Annual one-day adults-only arts camp experience at Usdan Center for the Creative and Performing Arts, once again featured its popular and fun organic cooking class. Taught by renowned Chef Richard LaMarita, this year's edition was called "Simple Summer Food," and focused on the street foods of India, with a vibrant array of high-quality, creative foods from Old Delhi and Mumbai. Held on Friday, July 17th, the day started at 9am with morning coffee and doughnuts, then class, and then a gourmet lunch and concert in the on-site McKinley Amphitheater. The afternoon consisted of recreation including chorus, a nature walk, a campus tour, archery or yoga - and finally, ice cream and a diploma at 3pm! Take an adventure on the North Fork of Long Island with a Vintage Bicycle Tour! Vintage Bicycle Tours specializes in guided, luxury bicycle tours through the North Fork Vineyards of Long Island Wine Country. Travel a leisurely 12-mile route, enjoying scenic views of the Peconic Bay, tree-lined streets, historic landmarks and picturesque vineyards. Indulge in wine tastings and a gourmet lunch. These tours are held through mid-November. Long Island Food Critic Reviews Main Street Bakery On Food Network's, "Fat Chef"
Premiering Thursday, January 26th at 10PM, Food Network's highly anticipated new series, "Fat Chef" features professional chefs as they shed a significant amount of weight while keeping the jobs they love in the food industry. With the help of the nations top nutritionists, trainers and life coaches, overweight chefs re-examine their relationship to food, both on and off the job and learn how to lose weight and live a healthier lifestyle. The premiere episode of "Fat Chef" features Long Island's very own, Michael Mignano, chef/owner of Main Street Bakery, who lost 100 pounds throughout the course of the show. We challenged Michael to create four desserts, three popular holiday items and one dessert representative of the New Year. He had 24 hours to complete the challenge and his creations definitely met our expectations, especially with such short notice. Michael's desserts are fresh, tasty and inventive and his self-taught talent is worthy of much praise. Starbucks Via Ready Brew Instant Coffee was introduced last year and since then has been making fresh, delicious Starbucks coffee available for customers who are traveling, dining or merely on the go. It offers the perfect single-cup portion of coffee and is 100% sensibly grown and ethically traded. The convenient little packets provide individual servings for your standard eight-ounce cup of coffee. Starbucks natural method of roasting and grinding the coffee creates superfine grounds that sleekly fit into the packaging. Starbucks Via Ready Brew is extremely convenient and easy to prepare. You can drink it with hot or cold water and it is available in a variety of flavors including Columbia, Italian Roast and Christmas Blend just in time for the holidays. It is the perfect accompaniment to your holiday travels and allows you to enjoy your favorite cup of fresh brewed Starbucks Coffee on the go. The Well Dressed Food Company, Owned and operated by David Tomberlin, is based out of Tupper Lake New York. Their products are produced using local ingredients, which supports local businesses. They use only the finest natural ingredients to make their foods that are versatile and satisfying for every occasion. Whether you pack their Adirondack Crunchy Granola for a hiking trip or serve Walnuts in Buckwheat Honey over brie at your next gathering, the Well Dressed Food Company offers the very best of the North Country for your eating and entertaining pleasure. Small Plates With Big Flavor! The term tapas originates from Spain and translates to, “small plates.” Found in bars and restaurants throughout Spain, tapas are now becoming popular in the U.S., showing up on numerous menus across Long Island. In Spain, tapas generally serve as an entire meal, however in the U.S. they’re considered more of an appetizer to enjoy with a drink at the bar or before your main course. Aperitif Bistro in Rockville Centre is well known for their award winning tapas selection. They have an assortment of small plates available during lunch including Sweet Meatballs in a coconut curry sauce, Steak Tartare with capers and cornichons and French Onion Soup. Their dinner menu offers a larger range of tapas with choices such as Smoked Salmon Rolls with sour cream and tobiko caviar, Zucchini Pancakes with a yogurt sauce and a scrumptious Camembert Fondue. Grasso’s of Cold Spring Harbor recently introduced their fabulous new bar menu featuring an array of delicious tapas. Their bar menu is available Sunday through Friday and is ideal for those looking to relax and enjoy a quick bite along with drinks and great live music. Small plate selections found at Grasso’s include a Seafood Stuffed Artichoke Heart with lobster, crabmeat and shrimp, Pulled Pork Quesadillas with monterey jack cheese, pineapple salsa and a chipotle aioli and a Warm Crab Mornay Dip featuring lump crab meat, swiss and fontina cheese and cayenne pepper. You’ll even find the classic Pigs In A Blanket on the menu! Tapas have become the favorite course for many Long Islanders. They come in many forms, can be simple or elegant and continue to grow in popularity as time goes by. Be sure to stop by Aperitif Bistro and Grasso’s and sample two tapas menus worthy of much praise!